Jerusalem Kosher News » Could the Fruit on my Tree be Arlah? Could the Fruit on my Tree be Arlah? Recently, our school had several fruit trees planted for decorative and educational purposes. Someone told us that we must carefully collect the fallen fruits and bury them to make sure that no one eats them. Is there really an arlah prohibition in chutz la’aretz, and is it possible that these fully grown trees are producing arlah fruits? If indeed we need to be concerned about arlah, do we also need to redeem the fruits of the tree in the fourth year? I. 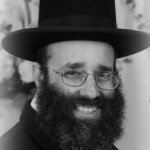 Is there a mitzvah of arlah in chutz la’aretz? II. Can a fully-grown tree possibly have a mitzvah of arlah? I thought arlah only applies to the first three years of a tree’s growth! III. Does arlah apply to an ornamental tree? IV. Does the mitzvah of reva’ie apply in chutz la’aretz? Introduction: The Torah (VaYikra 19:23) prohibits eating or benefiting from fruit grown on a tree during its first three years. Those fruits are called arlah and the prohibition of the Torah applies whether the tree was planted by a Jew or a gentile, and whether it grew in Eretz Yisroel or in chutz la’Aretz, although many leniencies apply to trees growing in chutz la’Aretz that do not apply to those growing in Eretz Yisroel (Mishnah Arlah 3:9). 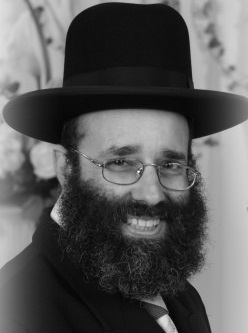 Arlah fruit must be burnt to guarantee that no one benefits from them (Mishnah Temurah 33b); in addition, Rav Shlomoh Zalman Auerbach, zt”l ruled that one must remove arlah fruits as soon as they begin to grow to prevent someone from mistakenly eating them (heard orally from Rabbi Shmuel Silinsky). The Torah (VaYikra 19:24) teaches that the fruit a tree produces the year following its arlah years has a unique halachic status called reva’ie. One may eat this fruit only within the area surrounded by the original city walls of Yerushalayim and only if one is tahor, a status that is virtually unattainable today as we have no ashes of a parah adumah. However, the Torah permitted us to redeem reva’ie by transferring its sanctity onto coins which must be treated with special sanctity. After performing this redemption, the reva’ie fruit lose all special reva’ie laws and one may eat them wherever one chooses to and even if one is tamei. We will discuss later whether reva’ie applies outside Eretz Yisroel. Why does Arlah apply in chutz la’aretz? Is it not an agricultural mitzvah that should not apply outside Eretz Yisroel (Mishnah Kiddushin 36b)? The Gemara (Kiddushin 39a; Mishnah Arlah 3:9) teaches that arlah in chutz la’aretz has a special status. Although it is true that agricultural mitzvos usually apply only in Eretz Yisroel, a special halacha leMoshe miSinai teaches that the mitzvah of arlah applies in chutz la’aretz. (A halacha leMoshe miSinai is a law Hashem taught Moshe Rabbeinu at Har Sinai that has no source in the written Torah.) However, this particular halacha leMoshe miSinai came with an intriguing leniency. The usual rule is that in a case of doubt whether or not something is prohibited, one must rule stringently and prohibit the item a Torah law is involved (Gemara Avodah Zarah 7a). Even though arlah in chutz la’aretz has the status of a Torah prohibition, the halacha leMoshe miSinai teaches that any doubt concerning whether a chutz la’aretz fruit is arlah may be treated with a unique leniency. In Eretz Yisroel, one may not purchase a fruit in a market without first determining whether there is a significant possibility that the fruit is arlah. In the case of arlah from chutz la’aretz, however, one is not required to research if the fruit is arlah. Even more, the fruit is prohibited only if one knows for certain that it is arlah and if one is uncertain it is permitted. Thus, doubtful arlah grown in chutz la’aretz is permitted even though definite arlah is prohibited min haTorah. II. Can a mature tree possibly have a mitzvah of arlah? I thought arlah only applies to the first three years of a tree’s growth! Today someone living in chutz la’aretz may actually be the proud owner of a mature tree whose fruit is prohibited min haTorah because of arlah. How can this happen? The Mishnah (Arlah 1:3) teaches that if a tree was uprooted and replanted, its arlah count sometimes begins anew. If the uprooted tree retained enough of its soil to survive, the old arlah count remains and if the tree was past its three arlah years its fruit are permitted. But if the tree’s soil was removed from its roots during the uprooting, it is considered as planted anew and its arlah count starts all over. Thus halacha can consider a fully mature tree that has been transplanted as newly planted. What determines whether the tree is halachically new or old? The criterion is whether the tree can survive with the soil still attached to its roots. However, the Mishnah omits one important detail: for how long must the tree be able to survive with that soil on its roots? Obviously, if the tree continues to grow for a long time, the small amount of soil on its roots will be insufficient. How much soil must the tree have on its roots to maintain its post-arlah status? The Rishonim dispute this question, some contending that soil for fourteen days is sufficient, while others require enough soil for considerably longer (see Beis Yosef, Yoreh Deah 394; Chazon Ish, Arlah 2:10-12). Since we rule leniently on arlah questions in chutz la’aretz, one may be lenient and permit a tree that has only enough soil to live for fourteen days. In Eretz Yisroel, many poskim rule that one must follow the stricter opinion. It is important to note that, according to all opinions, if one replanted a tree with little or no soil attached, the tree is halachically considered as newly planted and the next three years of fruit are arlah. The Torah not only prohibits eating these fruits, but even benefiting from them – or even giving them as a present to a non-Jewish neighbor. How often is a mature, replanted tree considered new for arlah purposes? The same expert pointed out that there can be other arlah problems in chutz la’aretz, such as trees grafted onto a root stock that was cut down to less than a tefach above the ground. This case, which is apparently very common, is halachically arlah miderabbanan (see Gemara Sotah 43b). This would apply even with a potted tree that never lost its soil. The arlah count begins over from when the tree is replanted. According to the horticultural- halachic expert I asked, the most common, and unfortunately little known, problem is not arlah but kilayim, mixing of species, or more specifically, harkavas ilan, grafting of a fruit tree onto the stock of a different species –which also applies outside of Eretz Yisroel. In regards to arlah, both of the previously mentioned problems could, and frequently do, happen: The tree may be replanted into your yard as bare-root, or it may be grafted onto a short stock that halachically qualifies the fruit that now grow as arlah. Other arlah problems may occur. Here is a common case: Someone purchased a tree from a nursery where the soil was still attached to its root; the tree’s root ball was wrapped in burlap and tied. (This type of tree is called “balled and burlaped” in the nursery industry.) When purchasing such a tree, one should try to verify when the tree was planted, and also whether the soil ball fell off while replanting the tree, which is a common occurrence. All of these affect whether the fruits of the tree are arlah, and for how many years. I will share with you one more case that some authorities consider an arlah problem. Some people grow fruit trees in pots and move them outdoors for the summer and back indoors for the winter. Some opinions contend that moving this tree outdoors is considered replanting it, particularly if the pot is placed on earth, and means that the fruit of this tree is always arlah! If one plants a tree with no intention of using its fruit, is the fruit prohibited because of arlah? The Mishnah (Arlah 1:1) rules that fruit growing on a tree planted as a barrier or hedge, for lumber, or for firewood are not arlah. The reason for this leniency is that the Torah states that the mitzvah of arlah applies “when you plant a tree for food” (VaYikra 19:23), and these trees are not meant for fruit. Perhaps the planting of our ornamental fruit trees is included in this leniency and their fruit is not arlah? Unfortunately, this is not true. The Yerushalmi (Arlah 1:1) rules that this leniency applies only to trees planted in a way that makes it clear to an observer that they are not planted for their fruit. Examples of this are trees planted too close together for the proper growth of their fruit, or trees pruned in a way that the lumber will develop at the expense of the fruit. However, people usually do not grow ornamental trees in a way that demonstrates that they have no interest in the fruit. Many years ago when I was a rav in Baltimore, someone asked me a shaylah that is very germane to this discussion. He had planted a hopvine and asked me whether there was an arlah or reva’ie prohibition involved in this plant. Knowing only that hops are used as an ingredient in beer, I asked him what a “hopvine” is and why would one plant it? He answered that it is an ivy runner that climbs the walls of a building. He had planted the vine primarily because he liked the ivy cover for his house, but also because he was interested in brewing his own beer using organically grown hops. At that time I was under the impression that there was certainly an arlah problem since he also planned to harvest the fruit. But what would happen if if the planter had no interest in the fruit and was simply interested in the vine’s aesthetics? Would that absolve the vines from the mitzvah of arlah? I leave it to the reader to ponder this issue. I subsequently discovered that hops are not an arlah concern for a totally different reason: Although hops do not need to be planted annually, halachically they are not considered trees since their shoots die off in the winter and re-grow each year. Such a plant is called a herbaceous perennial plant, not a tree, and is not subject to the halachos of arlah. Nevertheless, the concept of planting a tree not for its fruit is very halachically germane. IV. DOES REVA’IE APPLY TO FRUITS GROWN OUTSIDE ERETZ YISROEL? Does the mitzvah of reva’ie apply in chutz la’aretz as the mitzvah of arlah does, or is it treated like other agricultural mitzvos that apply only in Eretz Yisroel? The Rishonim debate this question and its answer depends on two other interesting disputes. The first, mentioned in the Gemara (Brachos 35a), is whether the mitzvah of reva’ie applies only to grapes or to all fruits. According to some opinions, the mitzvah of reva’ie applies only to grapes (see Tosafos, Kiddushin 2b s.v. esrog); according to a second opinion, it applies to all fruits (see Gemara Brachos 35a); and according to a third approach, the mitzvah applies min haTorah only to grapes, but it applies midirabbanan to all fruits (see Tosafos, Kiddushin 2b s.v. esrog). A second dispute is whether the mitzvah of reva’ie applies outside the land of Israel, like the mitzvah of arlah, or whether it follows the general rule of most other agricultural mitzvos and applies only in Eretz Yisroel (Tosafos, Kiddushin 2b s.v. esrog and Brachos 35a s.v. ulimaan; Gra, Yoreh Deah 294:28). The logical question here is whether reva’ie is an extension of the mitzvah of arlah, in which case the halacha leMoshe miSinai that arlah applies in chutz la’aretz extends to reva’ie. On the other hand, it may be that reva’ie is a separate legal concept totally unrelated to the mitzvah of arlah. If the latter is true, reva’ie should be treated like any other agricultural mitzvah and would not apply in chutz la’aretz. We should bear in mind that even if we conclude that reva’ie applies in chutz la’aretz, it applies only when these fruits are definitely obligated in reva’ie. If the fruit might be from a later year, one may eat the fruit without any kashrus concern. These last poskim contend that the halacha leMoshe miSinai forbidding arlah in chutz la’aretz applies only to arlah, but not to reva’ie, which is a separate mitzvah. Concerning reva’ie, the general rule that agricultural mitzvos only apply in Eretz Yisroel applies, thus exempting these fruits from the mitzvah of reva’ie. Shulchan Aruch (Yoreh Deah 294:7) quotes the first and third opinions, but rules primarily like the first opinion that the mitzvah of reva’ie does apply outside of Eretz Yisroel. Rama and Gra both rule like the second opinion that it applies only to grapes outside of Eretz Yisroel and not to other fruits. Therefore, Ashkenazim may be lenient and need not redeem fourth-year fruits grown outside of Eretz Yisroel except for grapes, whereas Sefardim must redeem them. We all know that Tu B’Shvat is the “Rosh Hashanah” for trees, but what does that mean? Do the trees ignite fireworks on their New Year? Does Hashem judge their deeds and misdeeds and grant them a fruitful year or otherwise, chas v’shalom? (In actuality, the Mishnah in Mesechta Rosh Hashanah teaches that the judgment for trees is on Shavuos, not Tu B’Shvat!). The truth is that the arboreal New Year does indeed have major halachic ramifications for man, who is compared to a tree (see Rashi, Bamidbar 13:20); these ramifications are intimately bound up with the arlah count that depends on Tu B’shvat. As Rav Shimshon Raphael Hirsch explains, by observing Hashem’s command to refrain from the fruits of his own property, one learns to practice the self-restraint necessary to keep all pleasure within the limits of morality. While nibbling on the fruit this Tu B’Shvat, we should think through the different halachic and hashkafah ramifications that affect us. Rabbi Kaganoff’s website features past articles. If you would like to take part in assisting the Rav’s tzedaka projects, follow this link. Born in Washington, D.C., and raised in New York City, Rabbi Yirmiyohu Kaganoff attended Ner Israel Rabbinical College in Baltimore, MD, from where he received a Bachelor’s degree in ’76, Semicha in ’77 and a Doctorate in Talmudic Law in ’81. In August of ’82 he assumed the rabbinate of the Young Israel of Greater Buffalo, a position he held until ’86. He also was the founding Rabbinic Administrator of the Vaad HaKashrus of Buffalo, a community organization that maintains the highest standards of kashrus. In August of ’86 Rabbi Kaganoff and his family returned to Baltimore where he became the Rabbi of Congregation Darchei Tzedek and also served as a dayan (rabbinic judge) on the Beis Din of Baltimore. The Kaganoffs made aliyah in ’97, where they live in the Neve Yaakov neighborhood of Jerusalem. Rabbi Kaganoff is the author of seven books on Rabbinic scholarship, both in English and Hebrew. Posted on January 19, 2011 by JKN Israel. This entry was posted in Kashrus Kuestions. Bookmark the permalink. One minor quibble: As I see it, the transliteration should not be “Arlah” but “Orlah”, as the kamatz under the Ayin is what is commonly called a “kamatz katan” (that’s as per havara sefaradit – as per Ashkenazic pronounciation, it goes without saying that it would be an O and not an A). Concerning the transliteration, it is also obvious to me that the term should be transliterated as “Orla” because with both the sephardit and ashkenazis pronunciation, a kamatz katan is a short “o”. With the ashkenazis pronunciation the more common kamatz gadol is a longer “o” and have also seen this transliterated as “aw”. It recently occurred to me that for some people who speak American English (or maybe some dialects thereof), the “o” sound is also in Engliah often pronounced as “a”, e.g. Boston is pronounced “baaastan”. Thus many American Jews who in principle want to use ashkenazis pronunciation still pronounce the kamatz as “a”. Because most siddurim (Rinat Yisrael makes a distinction) and chumashim do not make an indication between the different types of kamatz and one has to rely on identifying the construction of the word, kamatz katan is mistakenly pronounced like kamatz gadol. There is in the agriculture field a term known as “B and B”, which means Balled & Burlapped-that means that it’s not shipped bare root but it has a ball of earth suffecient for the tree to live. The would be with potted trees. If it would be a 3 year old plant, the time for orlah would be over. The commercially sold Papaya around the world are all picked from trees that are less than 3 years old. The Papaya tree produces fruit the first year, it grows a the rate of a foot a month. It become commericially unviable after it’s 30-33 feet tall (which would equal a 30-33 month tree, within orlah), and they cut down the entire field. I have checked with all of the importers / exporters around the globe and all of the fruit is from trees that are less than 3 years old. I tried getting them to leave 1 or 2 trees and use that fruit as well so for chutz lu’oretz it would be a safek, but they refused. The above is only for those that make a ho’eitz on papaya, most make a ho’adomah. About moving potted trees indoors and out: most potted trees seem to wrap their roots pretty firmly around the soil in their pot, creating a clump on which the tree can live for a very long time. So unless the tree was freshly planted, I doubt there would be a problem with moving it in and out, even if it is considered replanting. This is because it will be replanting with a big clump of soil attached to the roots, which is not problematic.